A Reformation Question: Can the Finite Bear the Infinite? Since we are celebrating the 500th anniversary of the Reformation this year, I thought we could look at a vital question of the era that brought sharp division; and in fact, divided the German reformers from the Swiss. Although he is God and human, yet Christ is not two, but one. but by God’s taking humanity to himself. With this Word you can strengthen your conscience and say: If a hundred thousand devils, together with all fanatics, should rush forward, crying, “How can bread and wine be the body and blood of Christ?” etc., I know that all spirits and scholars together are not as wise as is the Divine Majesty in His little finger. Now here stands the Word of Christ: Take, eat; this is My body; Drink ye all of it; this is the new testament in My blood, etc. Here we abide, and would like to see those who will constitute themselves His masters, and make it different from what He has spoken. It is true, indeed, that if you take away the Word or regard it without the words, you have nothing but mere bread and wine. But if the words remain with them, as they shall and must, then, in virtue of the same, it is truly the body and blood of Christ. For as the lips of Christ say and speak, so it is, as He can never lie or deceive (LC VIII, 12-14). Both Luther and Melanchthon preferred to speak of Christ as the total person (totus persona), rather than divide His natures. The paradoxical nature of Christ, the sacraments, and salvation are not to be accepted because they are logical, but because they are based upon the Scriptures alone. One of the dangers of the Swiss rejection of Christ’s bodily presence in the Sacrament, according to Melanchthon in the Apology, was that to deny the full presence of was to undermine the whole belief in Jesus’ presence within us (Ap X). Here the reformer cannot separate sacrament from salvation as they are intrinsically connected to our union with Christ. Melanchthon would often speak of God communicating Himself to man through the Son, finally uniting the Son with human nature in full sharing or communion. Christ, therefore, affirms that the race of man was created for this purpose, that God might share His abundant goodness, which is most profoundly illustrated in the union of the divine and human natures in the Son. Thus Paul says that “in the Son all things were created” (Col 1:16), so that this marvelous work of God might be made clear, in which He shared with human nature His goodness, that even in a personal union the Son assumed human nature (Rogness, Philip Melancthon, 94-95). 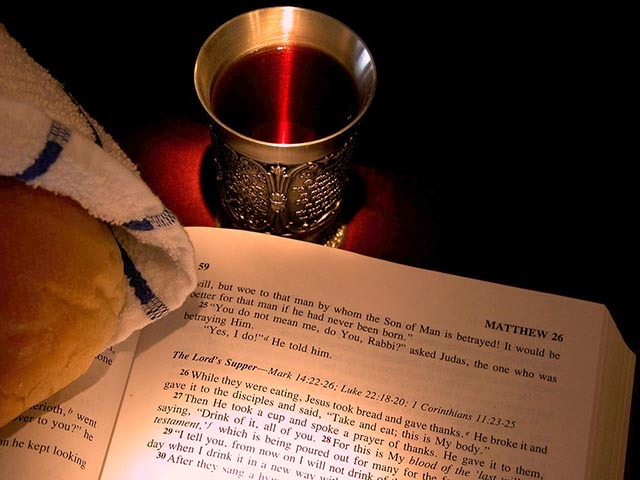 Just as we cannot fully comprehend or explain the two natures in the one undivided person of Jesus Christ, we cannot comprehend or fully explain the fact that the true body and blood of Jesus are also joined to the bread and wine. To attempt some kind of separation of this union for Luther was a devilish thing. Responding to Zwingli he could say: “No comrade, wherever you place God for me, you must also place the humanity for me. They simply will not let themselves be separated and divided from each other” (Basic Theological Writings, 267). 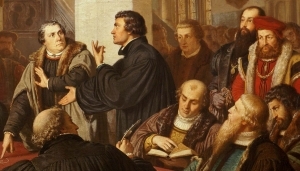 Ultimately, for Luther and his followers it becomes a matter of trust in the very Words of Christ. He says it is so, and so it is.